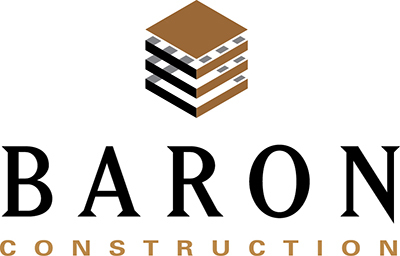 Baron Construction is a commercial construction company based in Nashville, Tennessee. With a goal of delivering projects on time and on budget with the highest level of quality, our standard of excellence results in lasting value for the life of one’s building. The company takes pride in a team approach with a strict determination to utilize longstanding relationships with clients, architects, engineers, subcontractors and vendors to make certain each project meets all client expectations. By working diligently and building a customer base via previous projects, Baron Construction stands out from other general contracting companies because they handle every project and treat it as unique in its own regard. Founded in 1988, Baron Construction has celebrated over 30 years in business. Many employees have over 27 years of construction experience within the company so it is evident there is an in-depth knowledge of the construction industry. As one of Nashville’s top family owned businesses, leadership is present every day which results in a family culture, great compensation and benefits. In turn, the solution-minded staff is well supported by management and contributes to a fast moving and high energy company. Contact us today to speak with a member of our team about your next project!